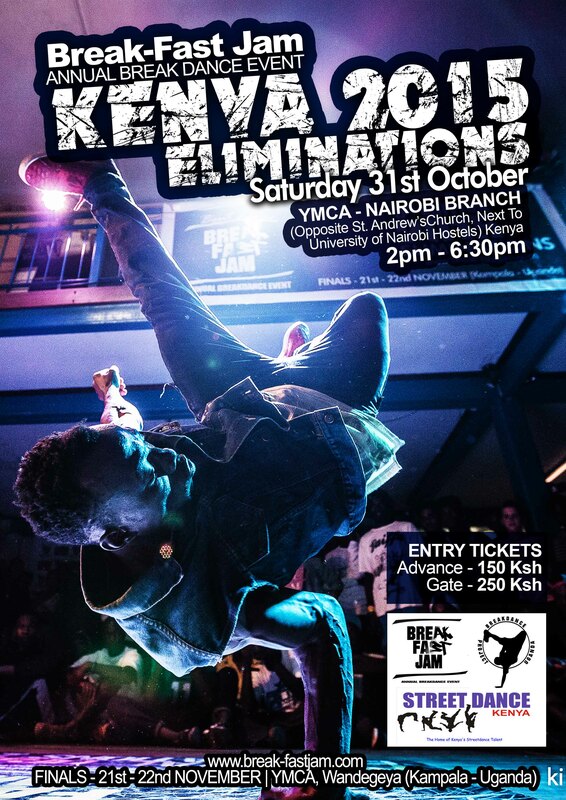 Break-Fast Jam 2015 Kenya Eliminations. 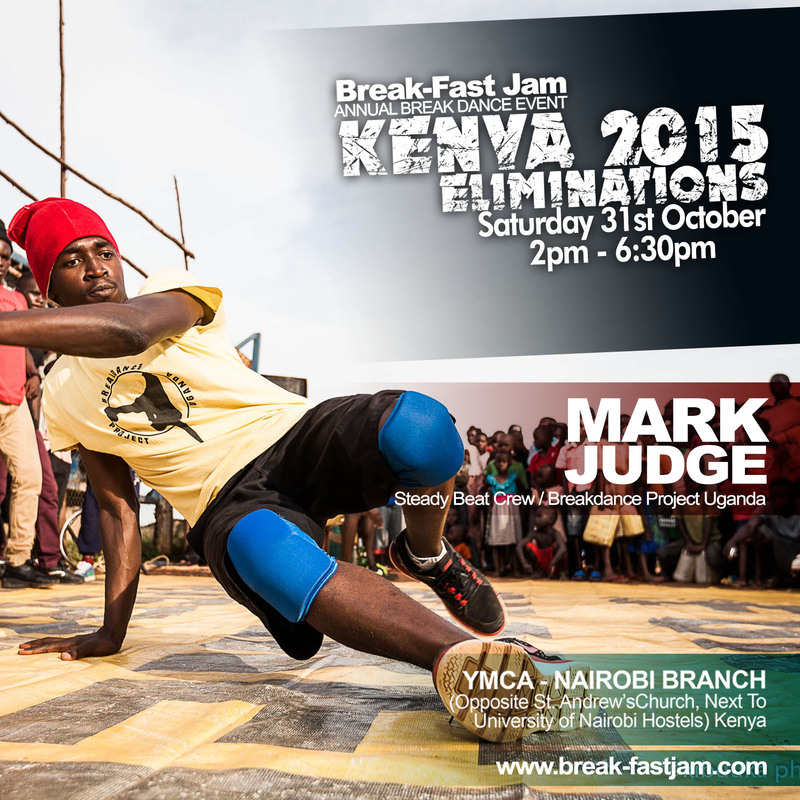 Mark will be judging breakdance (bboying/bgirling) battles at Break-Fast Jam 2015 Kenya Eliminations. He’ll judge with Tekya ‘Abramz’ Abraham of Rock Steady Crew & Breakdance Project Uganda(BPU) and Kiryowa ‘Sky’ Fahadhi of Hit The Beat Crew & Breakdance Project Uganda(BPU). This entry was tagged 5th edition, africa, annual vreaking event, art, bboy, bpu, break life, break-fast jam, breakdance, breakdance project uganda, breaking, east africa, jam, judge, Kenya, performing, social artist, street dance kenya, uganda. Bookmark the permalink. ← Namuwongo Slums Outreach by BPU.